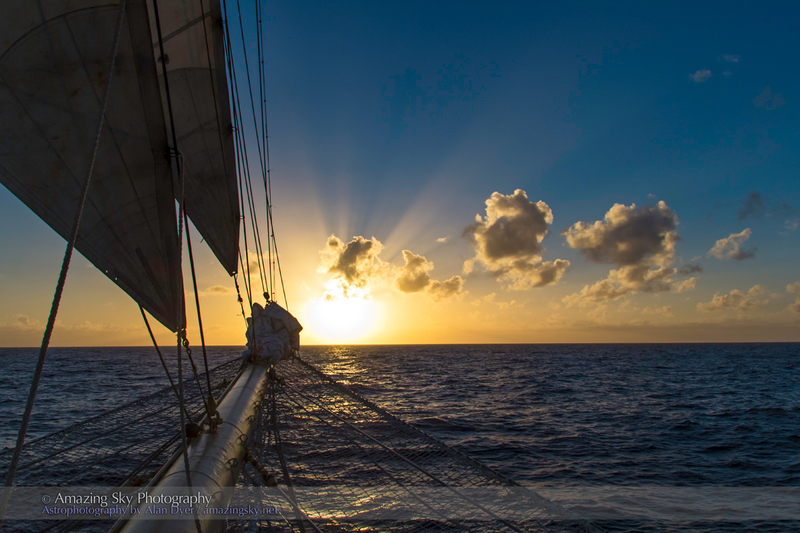 As we continue our sail across the Atlantic, our heading takes us southwest, directly toward the setting Sun. This was the scene last night, a day out from the Canary Islands, as we set our course toward the eclipse intercept point. Our heading of roughly 245° takes us into the setting Sun each evening. We’re now often under sail alone, with engines off. As Columbus and all trans-Atlantic explorers did, we’re letting the northeast trade winds blow us across the ocean. Under their steady force, we’re making a good 8 to 9 knots, sufficient to get us to the eclipse path on the appointed day and time on November 3. On that day the Moon, seen here as a waning crescent in yesterday morning’s sky amid our square-rigged sails on the 4-masted Star Flyer, will cover the Sun for 44 seconds. Tonight, October 28, was a magical night. Many of the eclipse tour folks gathered on the aft deck with all the lights off to lie back on deck chairs and gaze up at the Milky Way, with us now hundreds of kilometres away from any other lights. We had the Milky Way above, while below, the ocean in our wake was exploding with flashes of bioluminescence. The night was warm and of course windless because we’re travelling with the wind. It was an amazing experience. What an unbelievable experience this must be! I’m envious! What an idyllic experience, Alan! I am enjoying your trip vicariously as I read your blog each day. 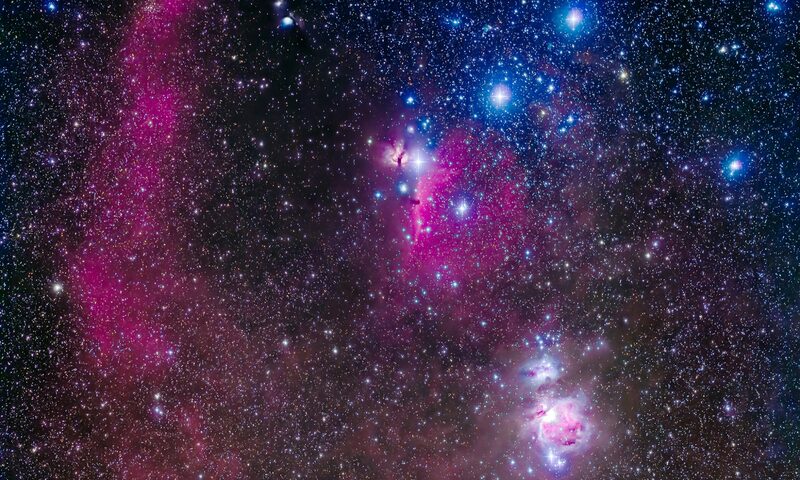 Ah, wind in the sails, stars above and bioluminescence in the sea. 15 years ago this month I experienced similar conditions on the open Atlantic while sailing on the Australian replica of James Cook’s Bark Endeavour (Halifax to Bermuda). An unforgettable and magical experience. I envy you Alan, because I know whereof you speak ! Next PostNext Eclipse on the Atlantic – Success!